This bunting measures approx 3.6m long. 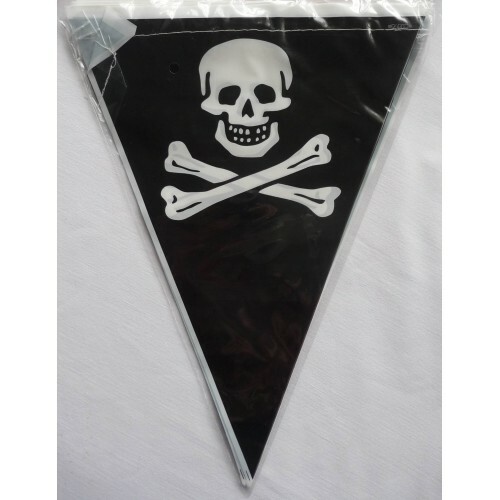 Featuring black background 21cm wide and 29cm high skull and crossbones plastic flags with the image on one side and the other side of the flag is white. Use this bunting with other pirate decorations for a buccaneer inspired boys birthday party.